$129 special edition includes figures, art book, OVA, more. Following yesterday’s European collector’s edition announcement, Bandai Namco has announced the Tales of Zestiria PlayStation 4-exclusive collector’s edition for North America. The collector’s edition won’t be exclusive to the Bandai Namco Online Store, but it is currently available for pre-order there. 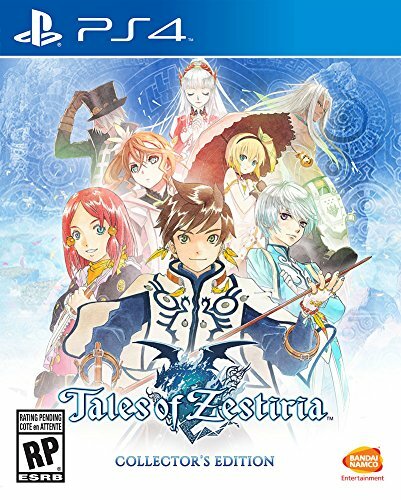 Tales of Zestiria will launch for PlayStation 4 and PS3 on October 16 across Europe, the Middle-East, and Australasia; via Steam in the Americas and Europe and for PlayStation consoles in North America on October 20; and in Brazil on October 23. Watch the Anime Expo trailer below.